One of the great side-effects of enjoying full glasses of freshly pressed juices in the morning is having to come up every day with a different recipe to use the pulp that results from the juicing. Today my juice was beets and apple. Most of the pulp went to my dogs, who absolutely love fresh vegetables so finely grated. 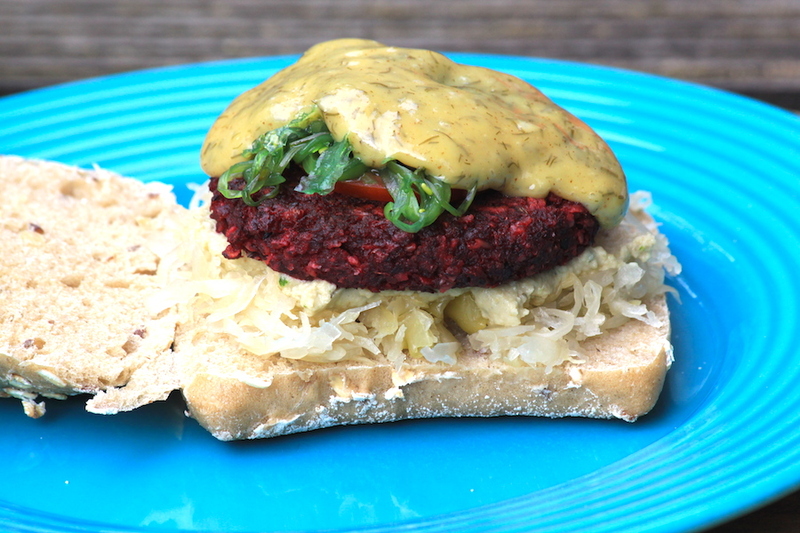 I was left with one cup of beets that I used to make this burger. 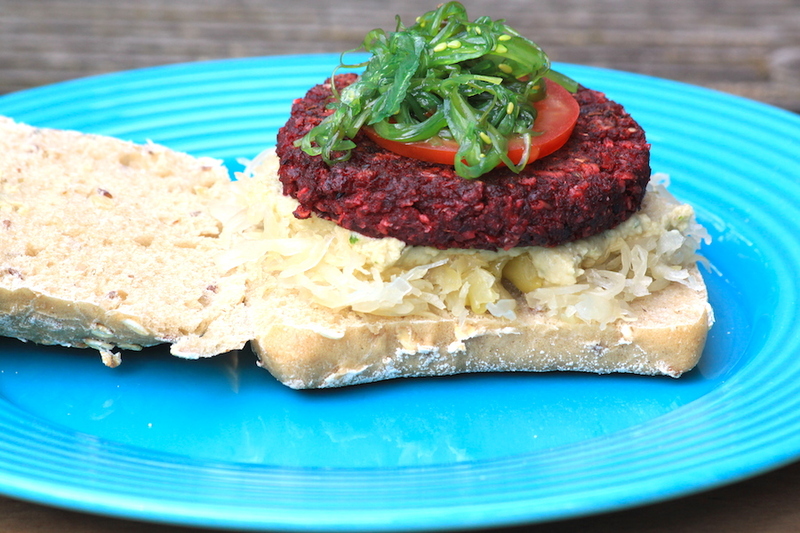 It's my second burger recipe today, since it is #VeganBurgerDay. Bring all ingredients together until a smooth “dough”. Knead the dough until it binds all ingredients together. Make the patties with your hands and fry them with a little bit olive oil or coconut oil in a shallow frying pan over medium-heat until golden and crunchy on both sides. Serve with mustard-dill sauce, sauerkraut, tomato slice and marinated seaweed. 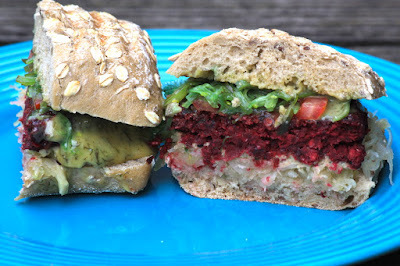 In fact, I had some babaganoush from the day before that I also used as spread on the top of the sauerkraut. So that's the creamy extra layer you can see on the picture. It made it extra yummy.